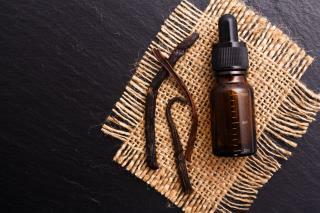 (Newser) – Police say a Connecticut woman charged with driving under the influence was drunk on vanilla extract, which contains a significant amount of alcohol. Hearst Connecticut Media reports that New Canaan police found 50-year-old Stefanie Warner-Grise sitting in a car at an intersection with her eyes closed about 4:45pm Wednesday. Officers say they found several bottles of pure vanilla extract inside her vehicle, per the AP. Considering vanilla extract also works as a laxitive i wouldnt wanna be her. I've got a crate of poppy seed buns. Between me and her we could be flyin high, eh? PARTY!